Queen of the Nile Slot Game by Aristocrat: Take a FREE Pokies Spin. Queen of the Nile is a video pokie developed by Aristocrat Technologies. 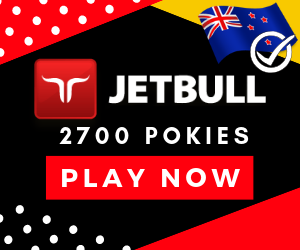 This was a famous slot machine loved in land-based casinos for over 20 years, It has been one of the most played pokies in New Zealand casinos for many decades. 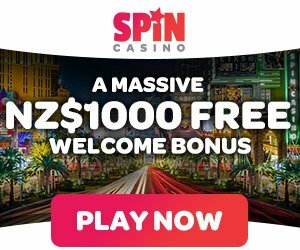 It’s popularity made the developers to come up with an online version available to play for free or real money at several Aristocrat online pokies casinos. Players are allowed to experience the fun of being a queen in Ancient Egypt. They can enjoy prizes by finding thematic items such as golden rings, pharaoh’s masks, and strange letter symbols. It is a 5 reel and 20 pay-line slot. This online slot machine comes with various bonus features including wild queens, pyramid free spins and a gamble feature. It features wild multipliers and free spins which pay thrice. Players can earn up to 9,000 coins. There are many stake combinations that can be made while placing bets. A wide stake range suits both low budgets players and high rollers. Queen of the Nile is designed with Egyptian Graphics and sounds. On the right is the beautiful queen Cleopatra VII looking at the player directly. Behind her are some scattered palm trees, brown pyramids and the blue River Nile. A beautiful yellow sun also appears to be shining across. Queen of the Nile allows players to marvel at the pyramids and other artifacts incorporated as symbols. Cleopatra represents the wild symbol of the game used to substitute other ordinary symbols. The Pyramid is the scatter symbol of the game used to activate the free games round. The poker symbols ranging from Nine to Ace are featured as the lower value symbols. Players are provided with 20 pay-lines. It can played in different formats like 3 line and 9 line. The minimum and maximum bets per line are $0.1 and $3.00. This translates to a maximum total bet of $60.00. The highest paying symbols are the golden Pharaoh mask and the golden rings that pay up to 750 coins after hitting 5 of a kind. The Nile Thistle and the Eye award up to 250 coins. Scary Scarab beetles pay up to 400 coins. Other symbols pay between 2 and 125 coins after matching 3 or more icons. Landing 2 or mores scatter symbols awards scatter pays. Scatter award up to 400x the total bet. The wild symbols appears in the game to replace other symbols to form winning pay-lines. All prizes are doubled by the wild symbol. It awards 9000x the bet for a given line. Hitting three or more scatter symbols on the reels activates the free games round. 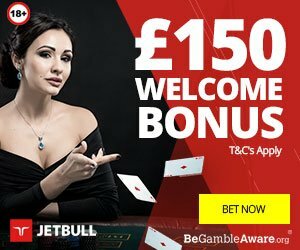 Players are awarded with 15 free spins. All prizes awarded during free spins are tripled. Free games are can be triggered in unlimited number of times. Wins can be gambled in order to double or quadruple the prizes. Predicting the right color doubles the prize and guessing the right suit quadruples the total winnings. Players can gamble their wins 5 times. Queen of the Nile is available for play in both real money and demo mode. The overall design is very epic and the game play is very simple. This game allows players to win in different ways at a stake of only 1 cent. Players are allowed to experience ancient times filled with beautiful artifacts and most importantly, the queen. 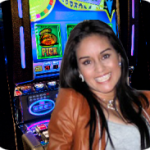 The free spins and multipliers ensure that players walk away with unlimited prizes. Players can also gamble their wins to earn up to four times the total prize.